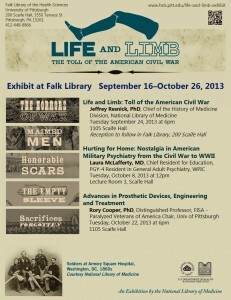 On September 16, 2013, the National Library of Medicine exhibit, “Life and Limb: The Toll of the American Civil War,” will arrive at Falk Library. This exhibit focuses on disabled veterans and their role as symbols of a fractured nation. 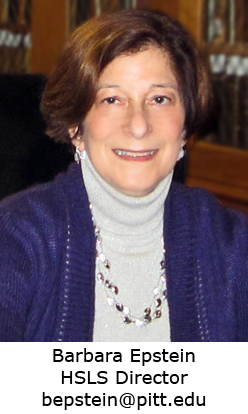 Director’s Reflections…Welcome Back, New and Returning Students and Faculty! We’re ready to begin a new school year! We invite you to explore HSLS resources and services described in this Update newsletter and on our Web pages. Even if you think you know everything about us, I guarantee that you’ll learn something new! Renovation of Falk Library’s upper floor is finally completed. We’re freshly painted and re-carpeted, with a technology help desk, rolling whiteboards and four new group study rooms. There’s also a self-service counter for charging your laptops and iPads. Falk Library has a New Bar, but This One Doesn’t Serve Drinks! 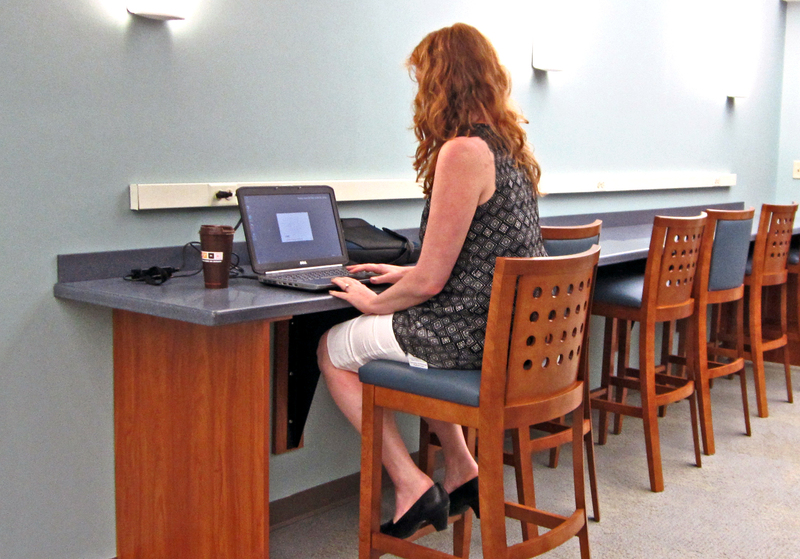 The upper floor of Falk Library continues its makeover with a new laptop bar, located across from the stairwell in the technology area. Outlets are plentiful, and drinks are BYOCB—Bring Your Own Covered Beverage. On March 27, 1891, Dr. Elmer E. Wible (b. 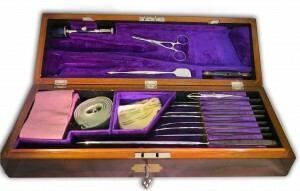 1867) graduated with honors from the Medical Department of the University of Pittsburgh and was awarded a case of general amputating instruments as a surgical prize. Wible lived and worked in the Pittsburgh area and was associated with West Penn, Homestead, and Columbia hospitals, where he worked as a surgeon and later as an oculist. In 1922, he attended an International Congress in Ophthalmology in Washington, D.C. He also served in the Spanish-American War and World War I. But beyond this small amount of information, little has been recorded about his professional life.¹ On June 1, 1942, he donated the instruments and case to his alma mater. It is currently owned by Falk Library.